When a French couple died hiking a popular white sand region in New Mexico this summer, it brought home the reality of wilderness travel. A walk in the woods is not just a walk in the woods. Even the most seemingly basic of hikes can turn deadly in a matter of minutes. 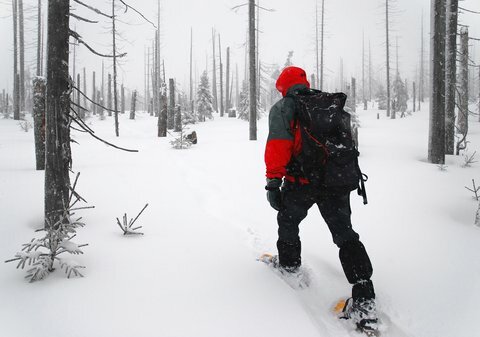 Here’s an example: I was on an afternoon snow-shoe trip with some friends near Mount Hood in Oregon, and after an hour or so winding through a maze of trails, we became unsure of how to get back to the car. Worse, the group had split into two pairs, both with their own idea of which way to go. It was 4:30 in January, and the skies looked like snow. One in our group had an iPhone with a GPS, but without a fix on our position and an undefined trail, the device proved worthless. I had my personal emergency kit with me, but I was not at all interested in spending the night in a snow cave with a space blanket and four people. Myself and one other started down a logging road we decided might get us back. With each round of a new bend we hoped to see signs of the parking lot, and it seemed we might not. The situation had all the earmarks of a newspaper story about a group of hapless snow trekkers, and things were looking bleak. Luckily, our direction proved correct, but it showed me just how sketchy things can get when not prepared. Mountain rescue volunteers routinely report that many of the hikers they end up spending time and resources to find were relying on a cell phone as security, imagining they would have service where they were and the wherewithal to use the phone should an emergency arise. Of course, a Go Pro or any other piece of tech is a boon to any outdoor situation, when in capable hands. Being prepared in the wilderness means knowing the terrain, knowing your limits, and knowing what to bring along.